What Part of Beyoncé's Coachella Performance Are You Still Obsessing Over? How many times did you watch #Beychella this weekend? Twice? Four times? Six times plus every Instagram excerpt you could get your hands on? Six times, with commentary? Did you already write about it in your diary??? Or perhaps it was when she brought out Kelly and Michelle for a little Destiny’s Child reunion, and they performed a segment of one of their greatest less-heralded jams, “Say My Name (Timbaland Remix)”?!!! Or was it the part within that performance where, during the “tick-tick-tick-fight” part of the lyrics, they did the pop-lock slow-motion punch routine from the video? 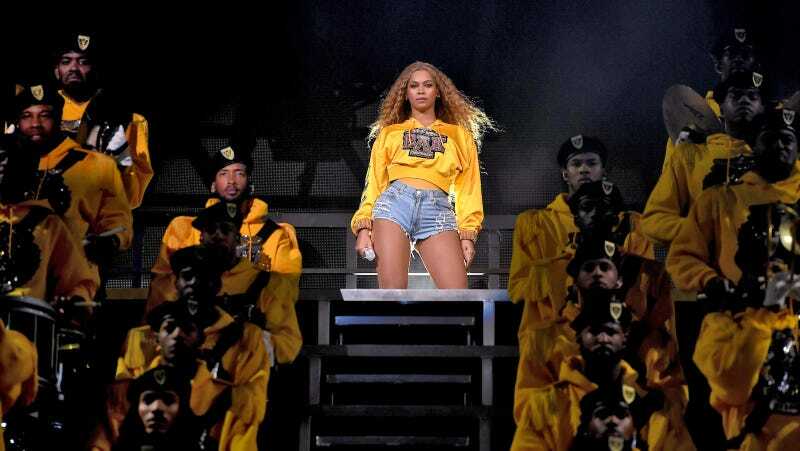 Or what about the part where Beyoncé, the day after her performance, donated $100,000 to four historically black colleges (Tuskegee University, Bethune-Cookman University, Xavier University, and Wilberforce University), just another element of her ongoing BeyGOOD scholarship fund directed towards students attending HBCUs? There was so much to obsess over! Take this poll and if we missed something tell us your favorite part in the comments!